FBI: New Al Qaeda Terror Boss Knows the U.S.
A suspected al Qaeda operative who lived for more than 15 years in the U.S. has become chief of the terror network's global operations, the FBI says, marking the first time a leader so intimately familiar with American society has been placed in charge of planning attacks. Adnan Shukrijumah, 35, has taken over a position once held by 9/11 mastermind Khalid Sheikh Mohammed, who was captured in 2003, Miami-based FBI counterterrorism agent Brian LeBlanc told The Associated Press in an exclusive interview. That puts him in regular contact with al Qaeda's senior leadership, including Osama bin Laden, LeBlanc said. "He's making operational decisions is the best way to put it," said LeBlanc, the FBI's lead Shukrijumah investigator. "He's looking at attacking the U.S. and other Western countries. Basically through attrition, he has become his old boss." 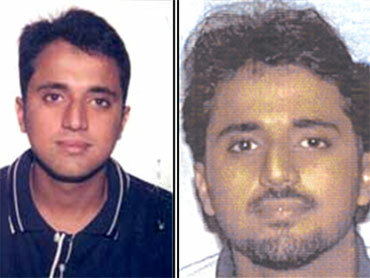 Who Is Al Qaeda Figure Linked to NYC Bomb Plot? The FBI has been searching for Shukrijumah since 2003. He is thought to be the only al Qaeda leader to have once held permanent U.S. resident status, or a green card. LeBlanc's warning comes a day after the U.S. government charged 14 people, at least seven of them Americans, with supporting "a deadly pipeline" routing money and fighters to the al qaeda-linked militant group al-Shabab in Somalia. Shukrijumah was named earlier this year in a federal indictment as a conspirator in the case against three men accused of plotting suicide bomb attacks on New York's subway system in 2009. He allegedly recruited Najibullah Zazi to execute the plot, reports CBS News national security correspondent David Martin. The indictment marked the first criminal charges against Shukrijumah, who previously had been sought only as a witness. Shukrijumah is also suspected of playing a role in plotting of potential al Qaeda bomb attacks in Norway and a never-executed attack on subways in the United Kingdom, but LeBlanc said no direct link has yet emerged. Travel records and other evidence also indicate Shukrijumah did research and surveillance in spring 2001 for a never-attempted plot to disrupt commerce in the Panama Canal by sinking a freighter there, LeBlanc said. It's natural he would focus on attacking on the U.S, LeBlanc said. "He knows how the system works. He knows how to get a driver's license. He knows how to get a passport," LeBlanc said. Shukrijumah's mother, Zurah Adbu Ahmed, said Thursday on the front stoop of her small home in suburban Miramar, Fla., that her son frequently talked about what he considered the excesses of American society - such as alcohol and drug abuse and women wearing skimpy clothes - but that he did not condone violence. She also said she has not had contact with her son for several years. LeBlanc said the new charges were brought after the New York subway bomb suspects identified him to investigators as their al Qaeda superior. The New York suspects provided other key information about his al Qaeda status. "It was basically Adnan who convinced them to come back to the United States and do this attack," LeBlanc said. "His ability to manipulate someone like that and direct that, I think it speaks volumes." Before turning to radical strains of Islam, Shukrijumah lived in Miramar with his mother and five siblings, excelling at computer science and chemistry courses while studying at community college. He had come to South Florida in 1995 when his father, a Muslim cleric and missionary trained in Saudi Arabia, decided to take a post at a Florida mosque after several years at a mosque in Brooklyn, N.Y.
At some point in the late 1990s, according to the FBI, Shukrijumah became convinced that he must participate in "jihad," or holy war, to fight perceived persecution against Muslims in places like Chechnya and Bosnia. That led to training camps in Afghanistan, where he underwent basic and advanced training in the use of automatic weapons, explosives, battle tactics, surveillance and camouflage. "What's dangerous about an individual that understands the U.S. is he may have a better sense of our security vulnerabilities and insights into how to terrify the American people using smaller attacks for large, political impact," said Brian Fishman, a counterterrorism research fellow at the New America Foundation. "This increases the risk of attacks outside traditional places we normally worry about like New York and Washington." Shukrijumah was born in Saudi Arabia. He is a citizen of Guyana, a small South American country where his father was born. His father died in 2004. While still in Afghanistan, he met another young recruit - Jose Padilla, an American citizen once suspected of plotting to set off a radioactive "dirty bomb" and now imprisoned on a 2007 terrorism material support conviction in Miami. At one point, according to interrogations of Padilla and other al Qaeda detainees, Shukrijumah and Padilla were paired in a plot to fill apartments in several high-rise apartment buildings with natural gas and blow them up, but they had a falling out. "They just couldn't get along. It's like two guys that could not work together," LeBlanc said. The FBI is still hoping to bring charges in South Florida against Shukrijumah, but key information about him was provided by Guantanamo Bay detainees such as Mohammed, whose use as a witness would be difficult. "For us, it's never been a dry hole. It's always been an active investigation and it's global in nature," LeBlanc said. "We have never stopped working it."